As we celebrate another World Water Day today, March 22nd (marking its 25th consecutive year), the theme is Nature for Water, raising awareness of the need for dialogue and action on water governance and how we can change water behaviours and decisions across the world. The 8th World Water Forum held in Brazil’s capital Brasilia, from March 18-23, is the world’s largest conference on water, and has attracted more than 40,000 representatives from governments, NGOs and companies – all brought together to outline the global targets for the coming years and how to invest and nurture the development of innovative water solutions for our future. The United Nations is set to release new International Decade for Action on Water (2018-2028) alongside its annual World Water Report, collected from 130 nations who have complied to the survey. The Organisation for Economic Co-operation and Development (OECD) has also announced its Water Governance Indicators based on 12 Water Governance Principles. There are currently 663 million people living without a safe and clean supply of water in their vicinity – without choice or agency, the journeys taken to access fresh water are often long and tumultuous, with many forced to use contaminated water instead. The fight to tackle the current and foreseenly worsening droughts, water pollution, contamination and outdated infrastructure that supports the supply and reuse of water in expanding urban areas need to be tackled in unity. The challenge of supplying safe water to the world’s population is a global mission, with each country facing its own challenges. 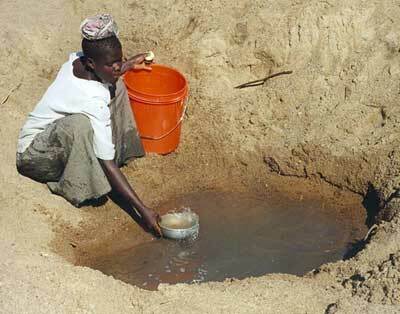 Water governance problems are increasing in areas of both scarcity and abundance. Countries with ample water such as Brazil (the world’s highest) and Canada are faced with reversing the effects of polluted lakes and rivers while South Africa is currently going through the worst drought in decades and Yemen with an outbreak of Cholera due to its lack of fresh water resources. Yet “globally, over 80 percent of the wastewater generated by society flows back into the ecosystem without being treated or reused” as reported by the United Nations. Nature for Water is a call to action and an urgent plea for global forces; legislators, NGOs, tech incubators and governments to work together towards shifting water governance by investing in education around the habitual use of water and in the people focused on the social, economic and political challenges of our future water. ImagineH20 for example, is an accelerator that helps makers develop and deploy solutions to water challenges while linking the innovators directly into global markets. This World Water Day is once again a reminder to the essence of our life on this planet and to realign us all to work towards the UN’s Goal 6: Ensuring the availability and sustainable management of water and sanitation for all.